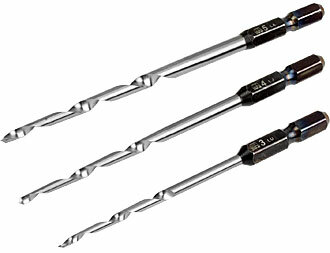 Conical drill bits are used to obtain an exact-shaped pilot hole for screws and as a pre-driller for nails, in order to reduce the chance of splitting the work piece, or to drill into the head end of tool handles to easily achieve a properly shaped hole to take the commonly-used conical shaft wedges. 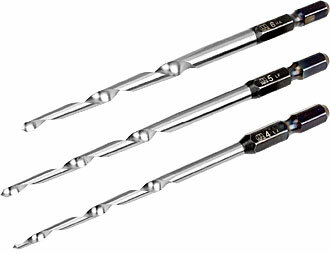 Important Advice: The maximum drilling depth for these bits is the length of the conical section (1), that is, the length of the spiral chip-clearing groove. 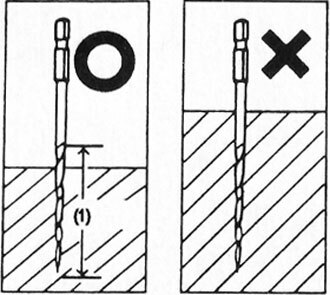 This drilling depth is shown in the tables below. Trying to force the bit to drill deeper into the work piece will come to nothing except perhaps a stuck or heat-damaged bit. 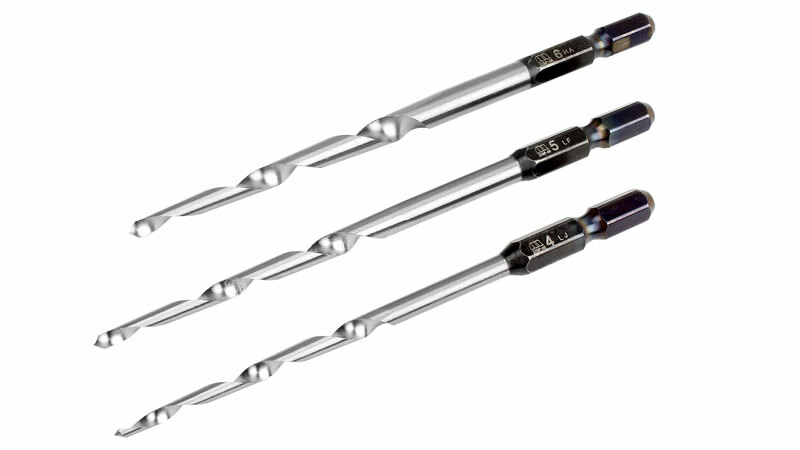 These conical bits have a hexagonal shaft end in the standard 6.35 mm (1/4 inch) size and will so can be inserted into both the standard three-pronged drill chuck as well as any standard hex socket tool. Made by Star-M in Japan. 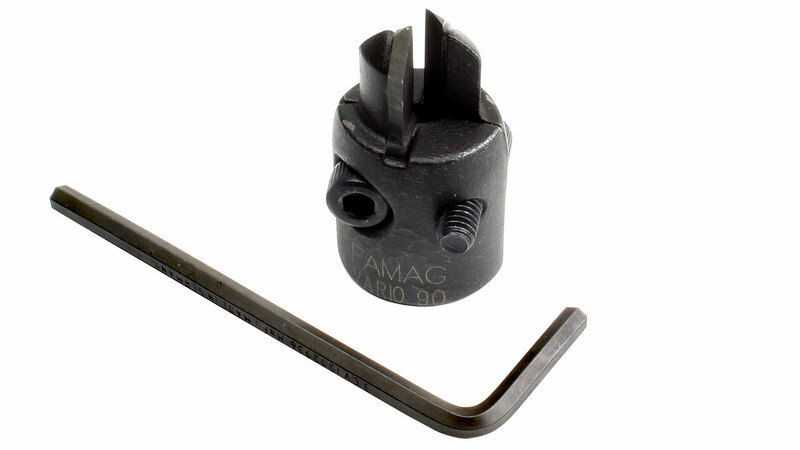 Use this removable countersink from FAMAG in conjunction with the conical bits and you can make both pilot hole and countersink for the screw head in one operation! The Vario 90 features carbide cutters for a long working life. 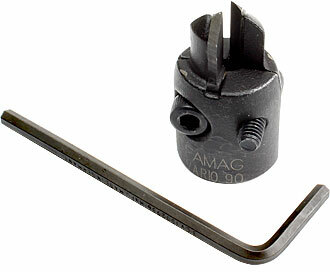 Directions: The FAMAG countersink is easy to attach to the bit. 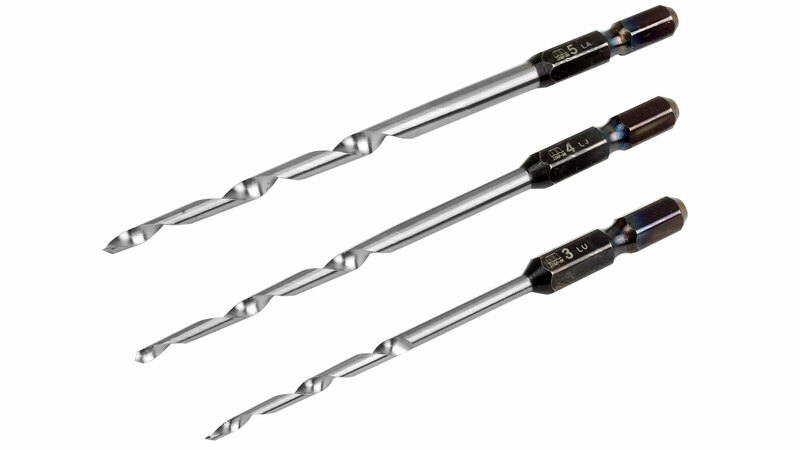 The inside of the two parts is shaped to automatically center the assembly along the axis of the drill bit shaft. 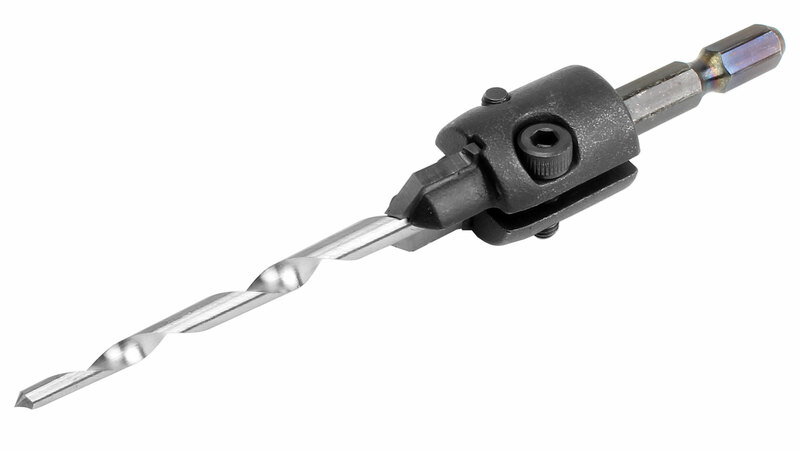 Once you have adjusted the countersink to the proper depth, it is firmly fixed in place using two hex head screws.